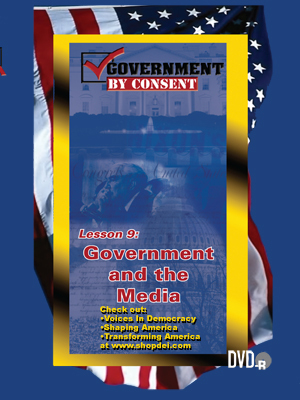 Does the media influence the course of government or simply react to it? Television coverage of pivotal events, such as South Africa’s apartheid war and the hostage crisis in Iran, sets the stage for a debate about who controls the national agenda. Students listen to insightful interviews with former press secretaries Ron Nessen and Jody Powell, as well as with media analyst Jeff Greenfield.